This next episode of Way of the Warrior is on the topic of Kung Fu. Specifically, it covers Hung Gar with additional segments on Wing Chun and its derivative, Jeet Kune Do. 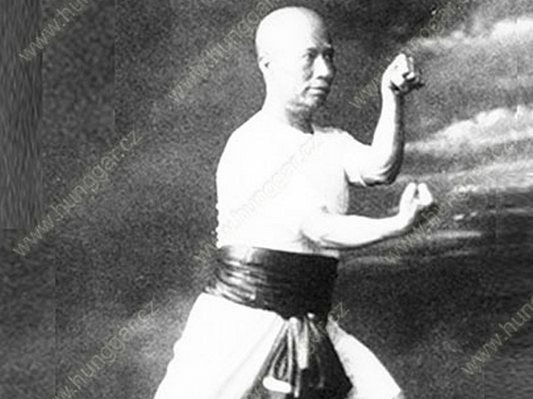 The Hung Gar segment features Sifu Chan Hon Chung (1909-1991), a 2nd generation disciple of Wong Fei Hung. For his contribution to Chinese Martial Arts, Sifu Chan was awarded a medal by Queen Elizabeth II in 1973. Southern Kalari emphasises empty-hand techniques, medical treatment is identified with Siddha, the traditional Dravidian system of medicine distinct from north Indian Ayurveda. Central Kalari is practiced makes use of many steps practiced on floor paths known as kalam, and its techniques emphasize lower body strength and speed. We're back in 2013 with a new site layout and a kickass documentary series! In our opinion, the best martial arts documentary in English, The Way of The Warrior was produced by the BBC in the 1980's. This series is unsurpassed in its depth, sensitivity and breath as compared to 'Reality TV' or 'Celebrity Host' type of martial arts documentaries which are commonplace now. The first of an eight part series presents Shorinji Kempo. Literally meaning "Shaolin Temple Fist Method", Shorinji Kempo, is a branch of Japanese martial art founded by Doshin Sho in the years following World War II. Viewer's Guide: This episode and the series as a whole start slow and pick up speed from there.